Happy New Year! 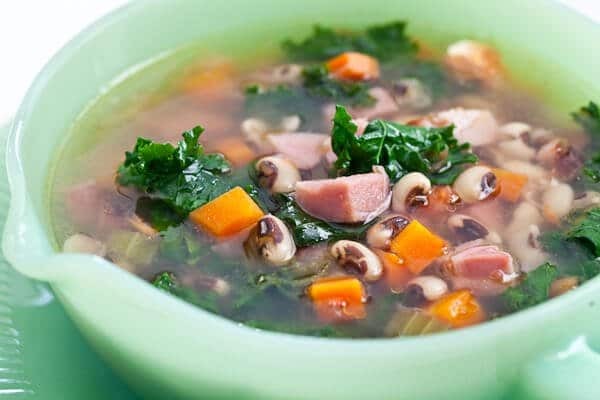 Now that I’m a true resident in the South (though Tampa Bay Florida just doesn’t seem very south-ishy to me) I figured it was a fine time to start celebrating some of the southern food traditions, like enjoying Black Eyed Peas with Ham and Greens for New Years. Another tradition that I’ve heard is to add a shiny new penny (but wash it first!) to the pot and whoever gets the penny in their bowl will have massive good fortune. 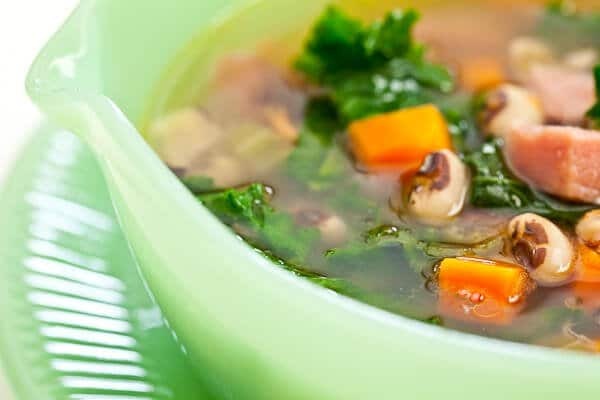 For me, the fear that I’d accidentally choke on a penny while slurpin’ down my stew is just too much. I’ll pass on that one. 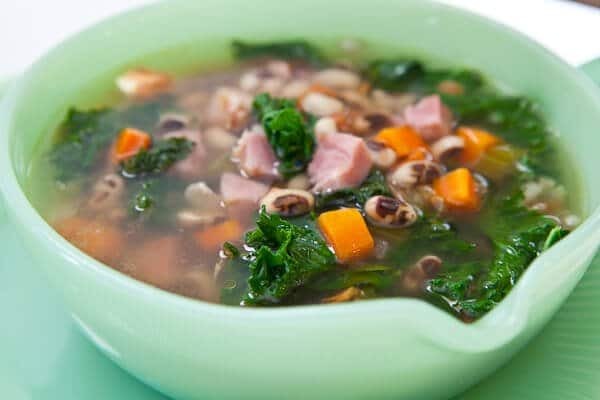 My friend, John of Food Wishes has a great recipe for Black Eyed Peas with Ham and Greens, so I thought I’d share with you his version with the addition of smoked ham hocks. My version is also a little more “soupier” than his – I didn’t add the entire bag of peas. 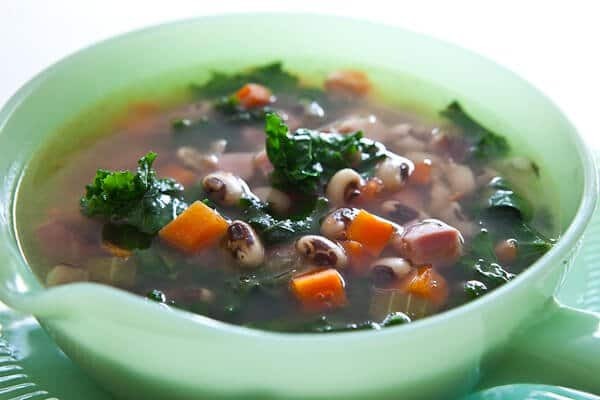 I didn’t have the time to soak the beans (by the way, black eyed peas are really beans, not peas) overnight, so I’ve shared with you my quick-soak version, which only takes 1 hour and boiling water. 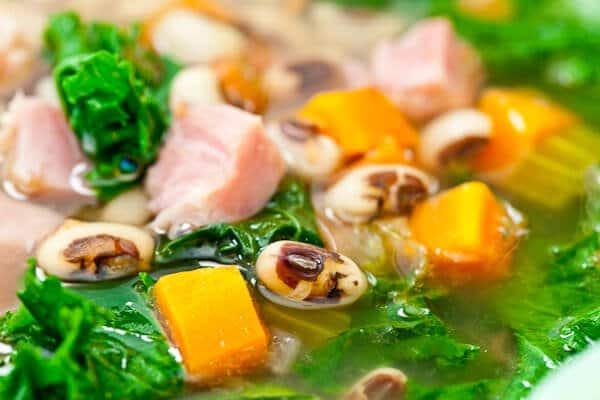 Enjoy the recipe and may you have a prosperous, healthy and joyful new year! 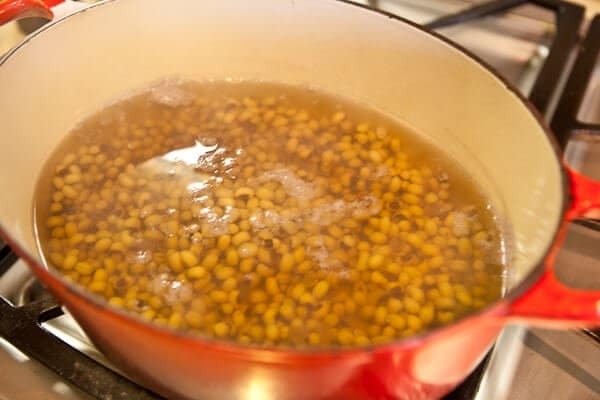 For the quick-soak method, place the beans in a pot, cover with water and bring to rolling boil. Turn off heat and let the beans soak for 1 hour. Drain. 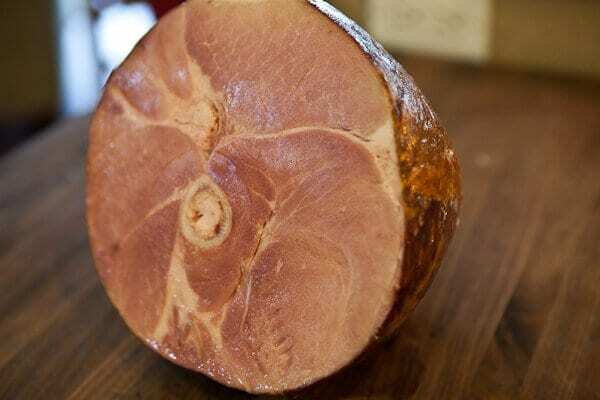 I like buying a big ‘ol ham. That way, I’ve got the ham bone and meat for the recipe, plus a ton more that I will use for sandwiches and snackin’ on. You are getting so much more for your money! Freeze what you can’t use. John uses pork neck bone instead of the ham bone. 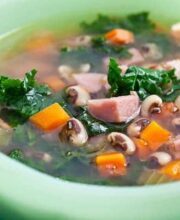 For the recipe, I’ve got kale (you can use turnip greens or collard greens, but I love the vivid color of kale), smoked ham hocks, carrots, celery, onion, tomato, garlic, diced ham and ham bone. 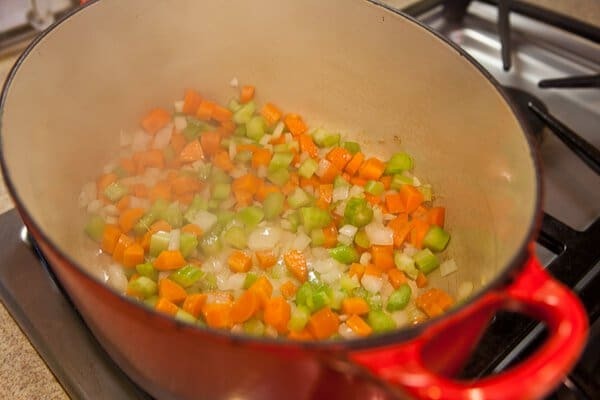 We’ll saute the onion, celery, carrots in olive oil for a few minutes, then throw in the garlic for another couple of minutes. 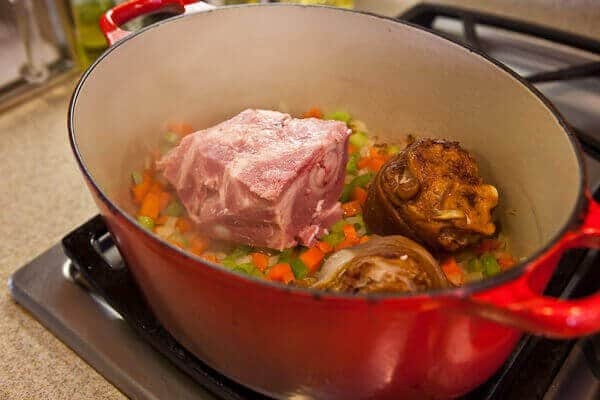 Then add the ham bone and ham hocks. Add the beans and pour in the water. Simmer for about an hour. After an hour, it’s time to add the diced ham and tomatoes. Let that simmer for another 30-40 minutes. 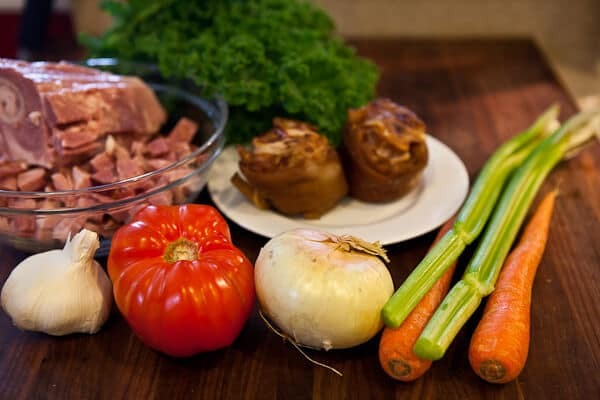 After the ham and tomatoes are in, you can take out the ham bone and the ham hocks. Give them to your favorite dog. 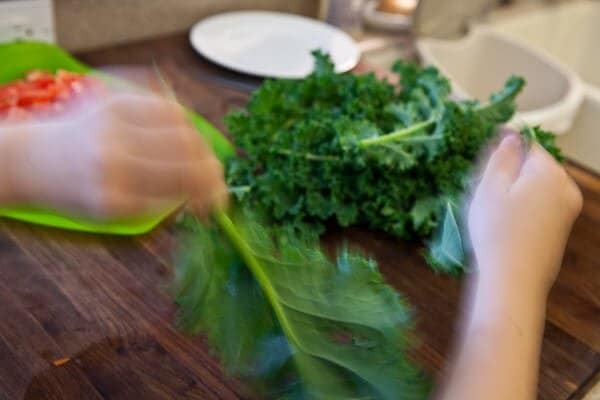 The last step is to add the kale leaves in — but before you add them in, you need to tear the tender leaves off the tough stem. Here I’ve got a kitchen helper. 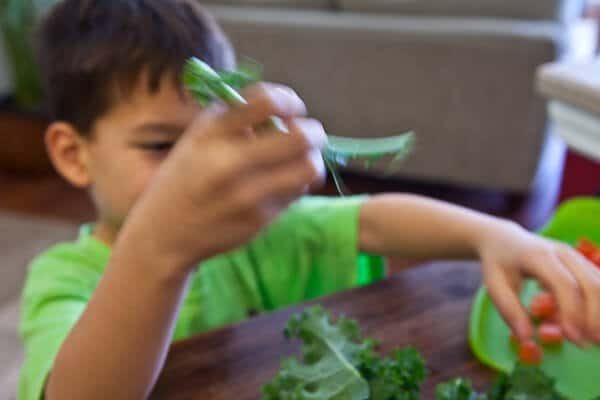 Just rip ’em off the stem and discard the stem. Add the leaves to the pot, just push ’em in there. 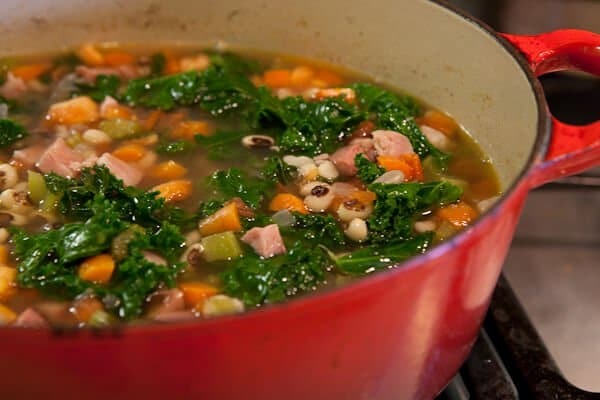 If you’re using collard or turnip greens, you might want to add them the same time as the ham/tomatoes. 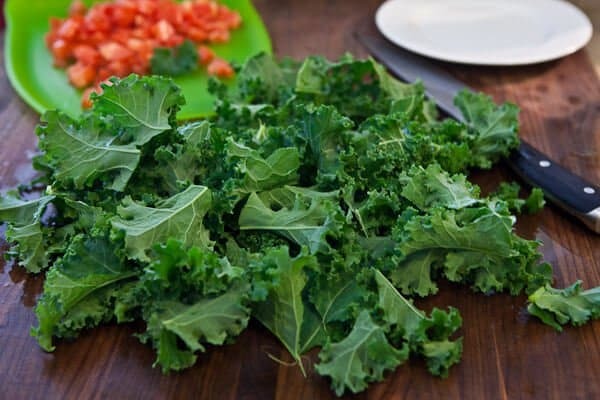 I like kale leaves because they don’t require much cooking and retain their bright, vivid green color. 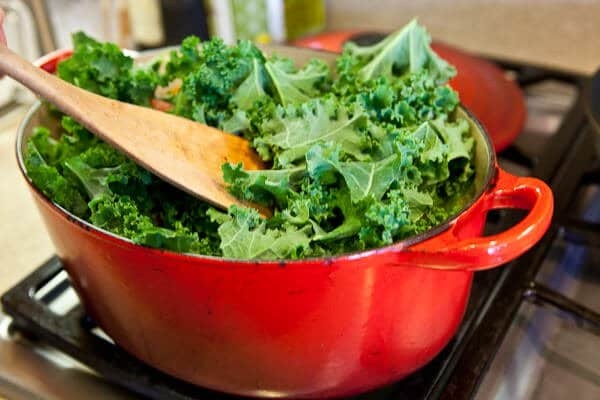 Kale leaves cook for an additional 10 minutes. And it’s done! Taste and then season with salt. 1. 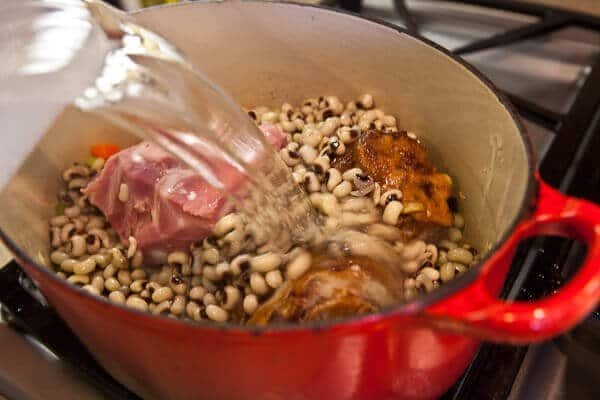 Rinse the black eyed peas, pick through and discard anything that's not-bean. Soak in water overnight or place in pot with water, bring to rolling boil. Turn off heat and let sit in hot water for 1 hour. Drain, discard water. 2. In large, wide stockpot, heat olive oil. Saute carrots, celery, onion on medium-low heat for 5-7 minutes. Take care not to burn the vegetables. Add the garlic and saute additional 2 minutes. 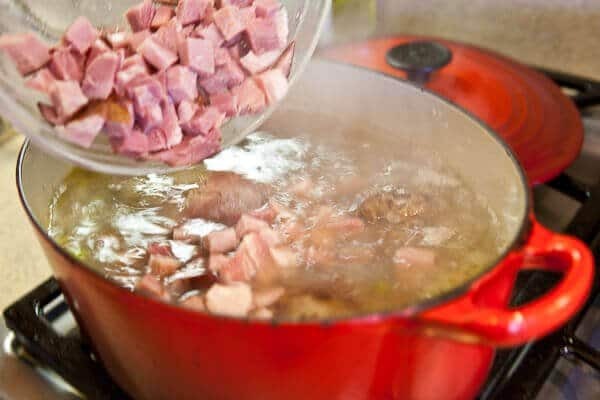 Add the ham bone, hocks, drained beans and water to the pot. Simmer for 1 hour.